Here’s a great shot of Leonardo DiCaprio at the Golden Globes as Lady Gaga walks by to accept her award . . .
Say this for director Alejandro Gonzalez Inarritu: he does not make things easy for the audience. He staged the full length of “Birdman” to look like one long, glorious take, and challenged the audience to decipher which bits were fantasy and which were reality. “Babel” put us face-to-face with a sexually confused and oft-naked Japanese teenaged girl. “21 Grams” forced the world to imagine receiving the news that your entire family has been killed in a car accident, and then discovering that your new lover has your deceased husband’s heart inside of him. With “The Revenant,” he ups the squirm factor tenfold, but is careful to balance the film’s savagery – and make no mistake, this is one savage movie – with the most beautiful cinematography you’ll see all year. “Wow, that was one of the bloodiest things I’ve ever…ooh look, pretty mountains!” They’re palate cleansers, so you’re not tasting blood in your mouth for the entire film. Smart, and essential. It is the 1820s, and a group of New World settlers and hired-gun Englishmen are on a fur-trapping expedition in God’s country. The group is besieged by a Native American tribe hell-bent on retrieving a young woman taken from them by one of the light-skinned invaders. (At this point in time, it was either the English or the French.) Captain Andrew Henry (Domhall Gleeson) looks to master tracker Hugh Glass (Leonardo DiCaprio) to lead the way, but there is doubt among the surviving group, chief among them professional soldier John Fitzgerald (Tom Hardy), whether Glass can be trusted after miraculously escaping an impossible situation unscathed. Hugh also has a teenaged son, Hawk (Forrest Goodluck), whose late mother is of the Pawnee tribe. That doesn’t sit well with some of the white people. Baz Luhrmann was born to make “The Great Gatsby.” Dazzling excess, star-crossed lovers, and tragedy are the cornerstones to nearly every movie he’s ever made, and F. Scott Fitzgerald’s novel has all three in abundance, wrapped in a searing indictment of the pursuit of wealth. All four of those elements of the story are on full display here, but there’s something missing in the execution. For a story with so much passion and longing and regret, it’s surprisingly bloodless. This is not to say that Luhrmann doesn’t hit the emotional buttons; he just doesn’t hit them hard enough. Then again, that may not be Luhrmann’s fault at all, but the source material. A bunch of clueless people ruining their lives by making bad decision after bad decision; it’s like a Mike Leigh movie, with money. Nick Carraway (Tobey Maguire) is in a sanitarium for a laundry list of conditions (top of the list: morbid alcoholism), and soon begins telling his shrink about the summer of 1922. Nick had taken a job as a bond salesman during the Roaring Twenties, and found a small cottage in the village of West Egg, where he lived next to new-money millionaires. Nick’s cousin Daisy (Carey Mulligan) lives across the bay from her, and is (unhappily) married to old-money millionaire and unfaithful thug Tom Buchanan (Joel Edgerton). 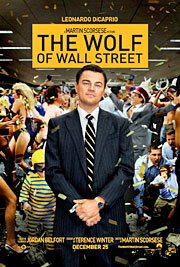 The man who lives next door to Nick is a mysterious fellow named Jay Gatsby (Leonardo DiCaprio). Jay would throw massive parties every weekend, but his reason for doing so was surprisingly sweet: he hoped that one day Daisy would attend one of them. 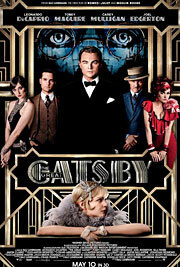 Daisy was Gatsby’s girl five years earlier, and once Jay discovers that Nick and Daisy are related, he asks Nick to invite Daisy over for tea. This sets in motion a chain of events that would change the lives of all concerned.